Emo-gee, that’s a cool job. Meet the woman who designs Google’s emoji. Last year, we started a program to partner with advertisers and agencies to re-imagine how brands tell stories in a connected world. Project Re: Brief set out to recreate some of the advertising industry’s most iconic, classic campaigns using the latest technology tools. This year we’re expanding that program to work with some of today’s most iconic brands and innovative marketers, in our new project: Art, Copy & Code. Art, Copy & Code is a series of projects and experiments to show how creativity and technology can work hand in hand. Some of these will include familiar brands like Volkswagen, Burberry and adidas—projects developed in partnership with their creative teams and agencies. 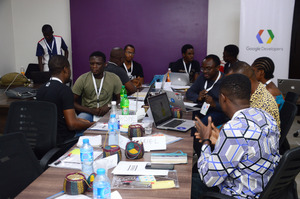 Others will be creative experiments with innovative filmmakers, creative directors and technologists to explore how brands can connect with consumers through a whole range of digital tools—including ads, mobile apps and social experiences. 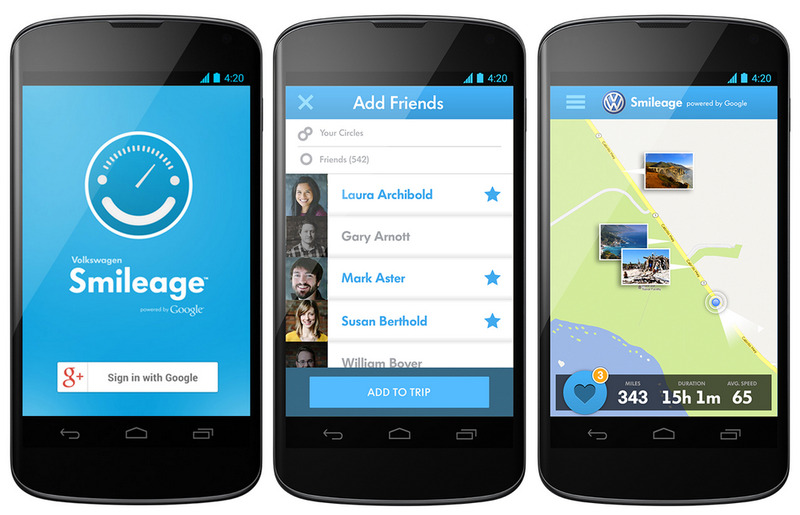 Our first partner project is a new social driving experience—Volkswagen Smileage. Building off their 2012 campaign, “It’s not the miles, it’s how you live them,” Volkswagen Smileage is a mobile app and web service that aims to add a little bit of fun to every drive, from your daily commutes to holiday road trips. The app measures the fun factor of each trip using a metric called “smileage,” based on signals like weather, traffic, location, time and social interactions (e.g., a long drive on a sunny Saturday afternoon might accumulate more smileage than a morning commute in the snow). You can use it with any car, not just Volkswagens. Powered by the new Google+ sign-in, you can choose to share Smileage experience with friends and family. For example, during a road trip, photos and videos taken by you and your co-passengers can be automatically added to a live interactive map. The inspiration for the service came from a recent study showing that every day, 144 million Americans on average spend 52 minutes in a car—76 percent of them alone. We wanted to make that time a more shareable experience. Volkswagen Smileage will be available soon in beta—you can sign up on this webpage for early access. We’ll have many more experiments to share in the Art, Copy & Code project soon—subscribe for updates at ArtCopyCode.com. We’re committed to investing in technology and tools over the long term to help brands and their agencies succeed not just today, but in a digital future that will look very different. 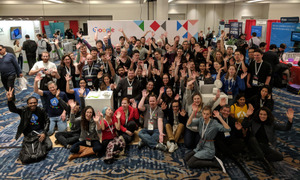 If you’re planning on attending SXSW, stop by the Google Playground on March 9 to see demos of these experiments, or attend our talk on March 10.